The 2013 vintage was tough for all of Montalcino, Tuscany's premier wine region. But for Jacopo Biondi Santi, it was a moment of truth. It was the first harvest at his family's legendary estate following the death of his father, Franco Biondi Santi, this past spring at the age of 91. "I have been harvesting here since I was eight years old, first with grandfather, then with my father," Jacopo, 63, said in his office over the winery. "This was the first time I did it alone." "I am sure that my father sent me a difficult vintage to test me," he added. "But he also sent a great vintage that could bring satisfaction." Jacopo is filling some of Italian wine's biggest shoes. His family estate, Il Greppo, is considered the cradle of traditional Brunello di Montalcino, and his father was Brunello's iconic patriarch for more than 40 years. Standing 6 feet 3 inches, Jacopo is a taller, stouter version of his dad, with the same lively blue eyes. At an age when others think about retirement, he is finally settling into the job for which he was groomed most of his life. But he is also determined to step out of his father's shadow and leave a legacy of refined improvement at Il Greppo. "I felt a lot of eyes on me," Jacopo said of last summer's growing season. "If it was not a good harvest, everybody would say, 'Look, Jacopo arrived and destroyed everything!'" Cool, rainy weather that persisted into July meant that maturity was delayed in vineyards typically harvested in mid-September. But Jacopo and other producers waited out the month in hopes of picking mature grapes with the potential for complexity, risking the possibility of damaging fall rains or hail. After what may have been the most detailed plot-by-plot grape analysis in Il Greppo's history, on Oct. 3, harvesters began picking the prized oldest vines for the flagship wine—Biondi-Santi Brunello di Montalcino Riserva. They finished the harvest more than two weeks later with the grapes for Biondi-Santi's Brunello di Montalcino normale and entry-level Rosso di Montalcino. "The grapes were perfect." Jacopo mimed the wiping of his brow and exhaled deeply. "I feel lighter now." Jacopo seemed almost giddy as he described the vintage as an uncommon classic with the aging potential of his grandfather's heralded 1955. 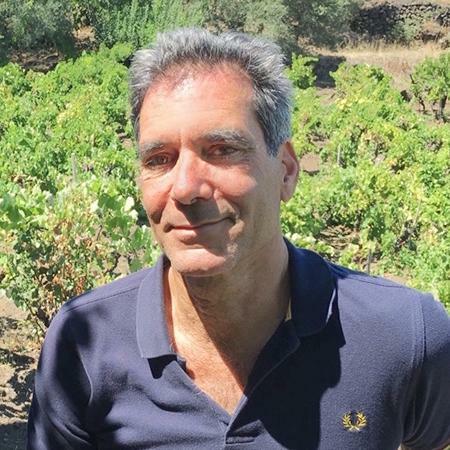 His father's tight grip on Il Greppo and adherence to tradition caused years of friction between the two men and led Jacopo to found his own modern-style estate, Tenuta Castello di Montepò, in the Tuscan Maremma. Now, Jacopo, an enologist who divides his time between the two properties, has already made his mark in the family winery. While he is committed to preserving Biondi-Santi's painstaking methods—including fermentation on native yeasts and long aging in Slavonian oak casks—he has made "micro changes" intended to coax more complex aromas and deeper color from his wines. One of the first orders of business this harvest was to bring in a modern soft bladder press, leaving idle the family's antique hydraulic basket press, which Jacopo calls "too violent." He doubled maceration times for fermenting musts to 25 days and kept temperatures a few degrees cooler than his father did. To avoid the risk of problems developing during aging, he added an extra racking of wines to remove gross lees sooner. He took me through the 1950s-era cellars, showing off unfinished wines, starting with the small vat of simple, fresh table wine made from the end of the harvest and destined to be sold off in bulk. Though the wine is good, it's not good enough to be labelled Biondi-Santi. "There are 200 years of history here, and there is no room for mistakes," Jacopo said. "Every step I take, I have to be sure." Jacopo Biondi Santi has taken over his family's Brunello estate following the passing of his father, Franco (seated), in 2013. Have you tried 1967 Pontet Canet in your PC tastings? Is it any better than Foy or the Sox performance in the World Series of that year? Apparently it was a bad October in the Medoc-- though not quite as disastrous as it was at Fenway Park.